The lovely Laura over at a Day in the life of a Scottish Lass, tagged me to do the Makeup Pixi3 Christmas tag and seeing as how the big day is now only a month away (scary!) I couldn't resist. I love the preparation for it - shopping for gifts, advent calendars and getting to spend lots of time catching up with my friends and family who I don't see often enough. What's your favourite makeup look for the Christmas season? Statement eyes plus for Christmas parties, I love a glittery nail. This year I will most likely be using my Nails Inc Bling it on Rocks. Ummm...I have always had fake trees aside from last year when I had my first real tree. 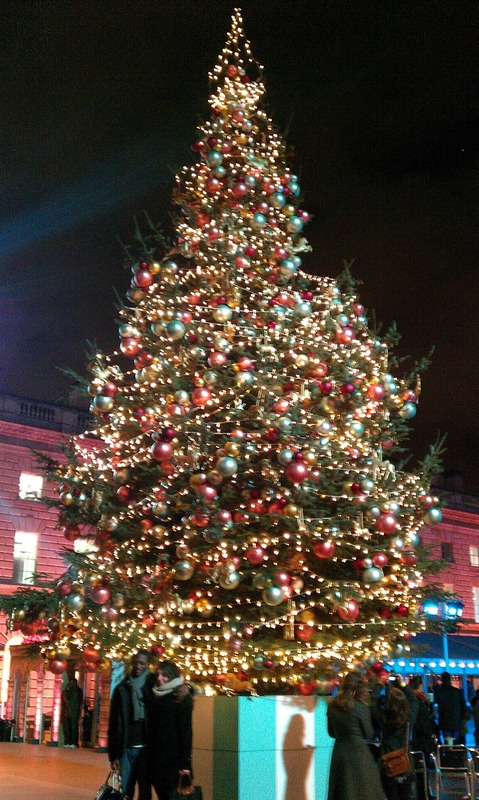 I loved having a real tree as it smelled so Christmassy, but didn't enjoy hoovering up needles every 5 seconds. I might go back to a fake one this year. I love giving them. I spend hours and hours thinking about what to get people as I love the look on their faces when they open it up and it's just what they wanted. In the morning. I don't have enough patience to wait past lunch! What's your all time favourite Christmas film? Not very traditional, but I love Bad Santa! I also love watching ET when it comes on every year. It's one of the few films that's actually made me cry. This sounds really weird, but at Christmas, it's a tradition in my family to make little prawn vol au vents (puff pastry cases stuffed with prawns). It's the only time of year I let myself eat them so I tend to get a bit overexcited and eat a lot! It's also the only time of year where I can legitimately get away with eating chocolate at breakfast time, he he. For me How the Gringe Stole Christmas is my favorite and in Trinidad my family make a flour pastelle that to me is the best thing ever!! I am following you from the Monday Hop and would love for you to follow along. I love glittery nails too! great post! I am currently hosting a few giveaways and I thought you may want to check them out?